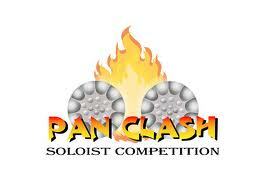 Pan Clash is an annual steelpan soloist competition. It was set up in 2007 for young people between the ages of 15 and 25 and was funded by the Kensington and Chelsea Youth Forum. Each contestant could choose any of the front-line pans to play in the competition. The format for the Pan Clash was similar to a Pan Shootout - a ‘house’ steelband playing two musical arrangements and the contestants perform a 60 minute solo to each piece. In 2013, the Charity ‘Steelpan Trust’ was set up to promote the Pan Clash. Pan Clash is also a stablemate of Classorama, a schools steelpan competition held annually in July.